I never thought I would utter these words. I loved this Opera. I saw the workshop last summer at the Queer Arts Festival in Vancouver. Well, I had to see it. I was photographing it for them. Seriously, it was not what I expected. First of all, I developed an instant crush on the lead soprano. Secondly, the male role broke my heart. Like tears in my eyes and heart crushing compassion for his story, that kind of broke my heart. This was the largest, longest and most elaborate photo shoot I've ever done and involved the collaborative efforts of 12 people to pull it off. It was so worth it. 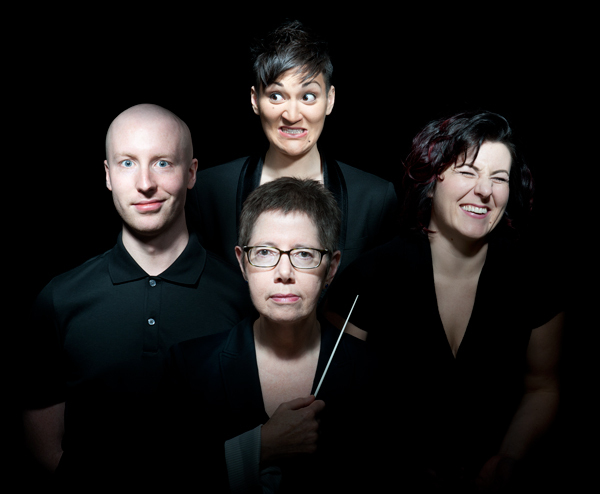 We created some awesome images for the Opera. The Georgia Straight, Xtra and the Courier all featured the images which had enormous impact in its promotion. The Opera is so poignant today in a 2013 world where we can still be tortured and murdered for simply being who we are. 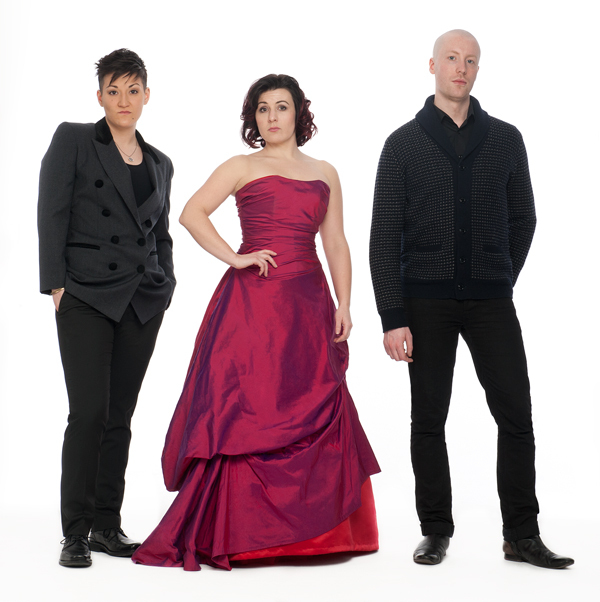 From the Queer Arts Festival website - "When the Sun Comes Out is the world premiere of Canada’s first lesbian opera, commissioned by QAF. This ground-breaking new work is written by composer Leslie Uyeda and poet Rachel Rose, and directed by James Fagan Tait. A story of forbidden love, divided loyalties and culture clash, the opera explores the oppression that queers face, and the risks they take, in nations where homosexuality is illegal." 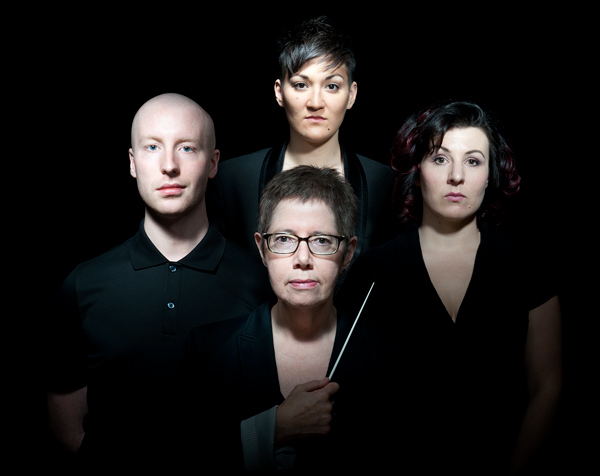 From left to right: Aaron Durand, Teiya Kasahara, Julia Morgan, and Leslie Uyeda (with baton).